Get our FIVE THINGS Game free! 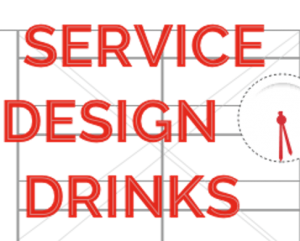 Come join Mindhatch as we co-host the the 2nd gathering of Service Design Drinks – Seattle on Thursday, November 8! Service Design Drinks is a network of Seattle service designers and related professionals who think services should and can be better designed. We meet in order to talk about service design, share experiences, and have a drink. This round we’ll be discussing — and interacting with — Service Blueprints vs Journey Maps. What are the differences and similarities we’ve seen in theory and in practice? Where have we had the most success using each? What pitfalls have we encountered, and what adaptations? The first FIVE people to arrive will get their first drink on us! Get Mindhatch updates delivered straight to your inbox. Mindhatch is a woman & minority owned company.